That's what I had yesterday! It was a beautiful sunny day and you take that into account when you don't get too many of them and lately that has been the case, including today's forecast of clouds and rain! While enjoying the sunshine Zach and I went out to pick up some flowers. I wanted to get them planted at the cemetery, but now I hear not only are we in for clouds and rain but also cold temperatures, so the planting will have to wait. 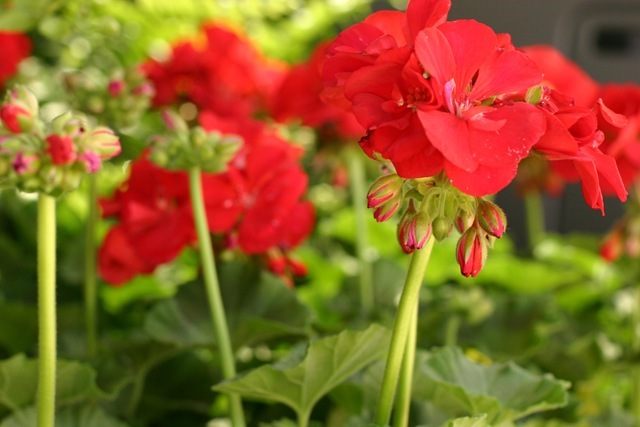 My favorite flower to plant in our yard which has no shade is the Geranium. 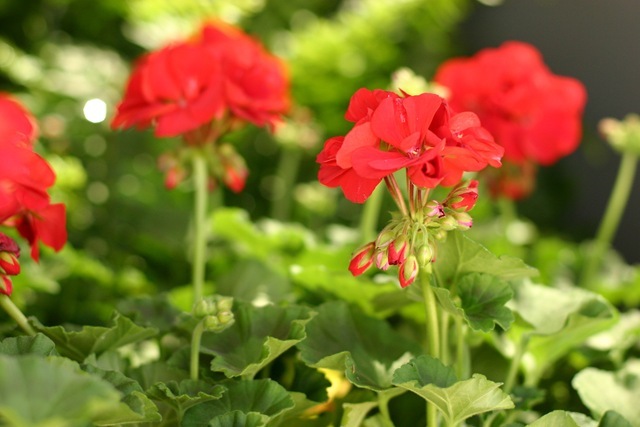 They are the most hearty of flowers and look good all summer long! I also picked up some ferns for the front porch. 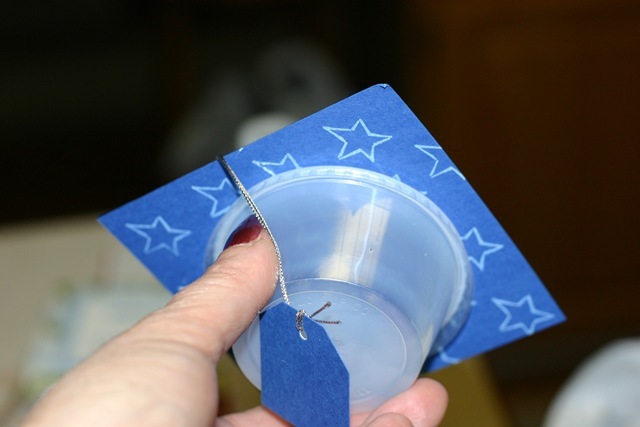 In the evening I took a stamp class and came home with lots of ideas for gifts for graduation and more! 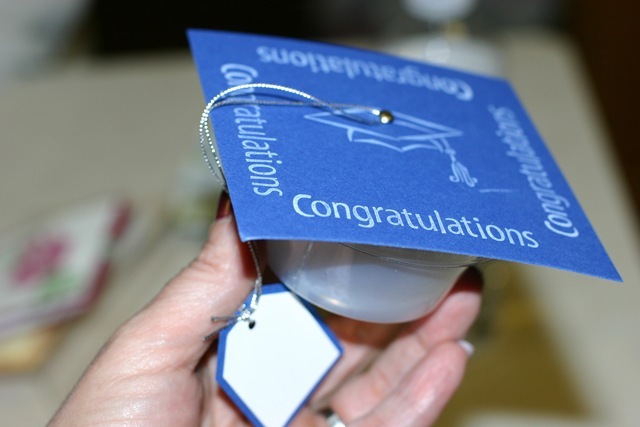 Michelle let me borrow this idea for graduation favors. 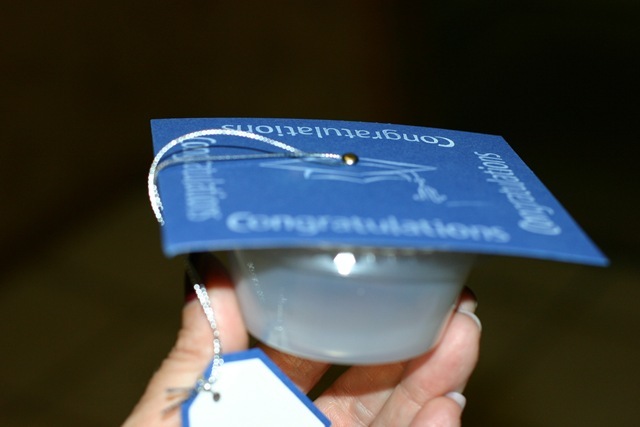 Those little plastic containers with lids made into a grad cap - how cute is that! You could fill them with M & M's or any candies that would coordinate with school colors. 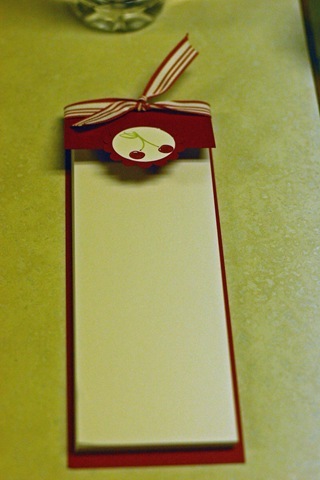 We also did these adorable notepads, a post it note holder an accordion mini book, and a coupon or gift card holder and a water bottle topper that holds the flavor packets. All of which I need to get pictures of to post later. Tonight we have Chelsea's TOP SCHOLAR dessert banquet which both the grandma's are going to attend with us.